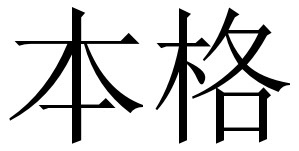 Shōchū (焼酎) means "burning sake". 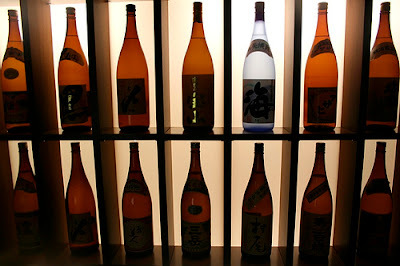 It is a distilled spirit (unlike sake, which is a brewed rice wine) and typically has a much higher alcohol content than sake, ranging between 20 and 45 per cent. You should find them somewhere on the bottle, in some kind of stylised form. 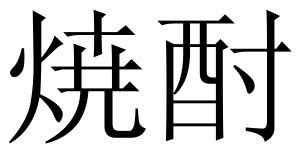 This is sometimes abbreviated to kōshu (甲酎). This is the stuff I am fascinated by. 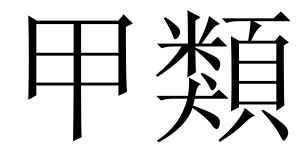 It used to be called otsurui shōchū, which means "second rank", but, because this legal classification was misleading people into thinking it was second rate, its makers have been allowed to call it Honkaku, which means authentic or "classical method" shōchū. It is singly distilled and often retains more of the character of the original ingredients than kōrui shōchū. 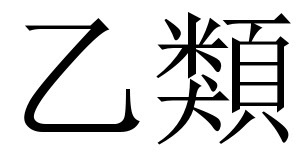 See this entry if your browser can't read the Japanese characters in brackets. The photograph is taken from islodelba. Islodelba is sharing it on these creative commons conditions. Thank you for writing this guide! It's very clear and informative. This is a side blog to my main Japanese whisky blog, Nonjatta. It is a little diversion to try to find out more about shōchū, Japan's indigenous distilled drink. Lesson 3: What is kōji? There are Japanese characters on this site. I try to display photos of the most important characters but to set your browser to read Japanese look at this entry. Basic course: A vocabulary crib sheet. Nonjatta - Shōchū is an offshoot of Nonjatta and is written by Chris Bunting. I am a 30 something British journalist currently living in Kanagawa, Japan with my wife and young son. © All rights are reserved on all content on this blog. Reproduction in whole or in part without permission is prohibited. I try to abide by the Drink Bloggers Code of Conduct. If you feel the site has failed to live up to the code, please contact me and I will try to put things right. I can be contacted at japanesewhisky [at] gmail.com.